We are proud to announce that Artos Africa, subsidiary company of Artos Aqua, has signed the investment contract with Angolan National Agency for Private investment (ANIP). This agreement will enable Artos Africa to start the production and distribution of healthy drinking water Menha in the Republic of Angola. We are committed to make Menha available and affordable to everyone. First two production lines with the capacity of 80.000 packages of healthy water per day will be assembled in the following three months. 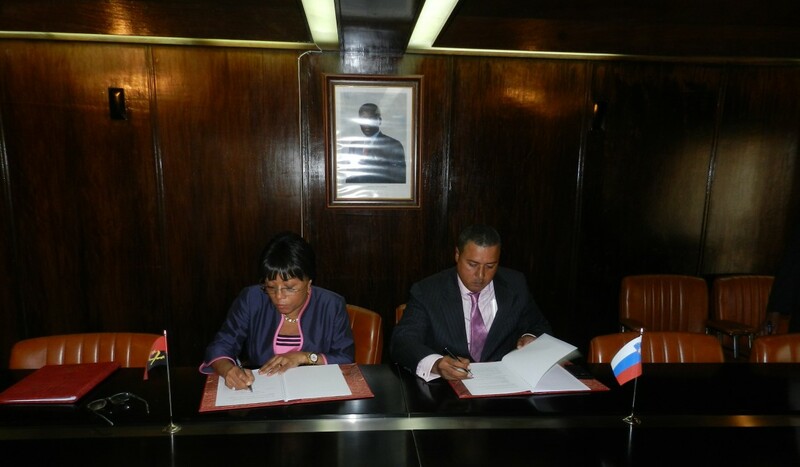 The contract was signed by the ANIP’s Chairperson of the Board Mrs. Maria Luisa Abrantes and the representative of Artos Africa Mr. Dimitri Kamara.